Michael Jackson died 20 years ago? I found these articles on the internet and I really don't believe them. I thought I would post them to let you know what ppl are thinking and posting on the internet. One article states that the real Michael Jackson died Jan. 27, 1984 from his burns. I thought I would spread the word. Like MJ said "Just because it printed doesn't mean it's the gospel." Re: Michael Jackson died 20 years ago? Wow that I also really DON'T believe. absolutely not!! I totally agree. I tried to google Frank Jespin and I keep coming with these articles and no photos. MJ did have plastic surgery, but he still has the Jackson traits. Hmmm the guy did not even faint in the ambulance... he was waving in the ambulance after the accident...... Don't think so! His death might be a hoax, but not his life! techdiva wrote: I totally agree. I tried to google Frank Jespin and I keep coming with these articles and no photos. MJ did have plastic surgery, but he still has the Jackson traits. I read this some time ago... I agree with see- his death is hoax, not his life! Well those articles were entertaining. That's probably the good stuff that is written. I cringe to consider what the MJ haters are saying since he "died". techdiva wrote: I found these articles on the internet and I really don't believe them. I thought I would post them to let you know what ppl are thinking and posting on the internet. One article states that the real Michael Jackson died Jan. 27, 1984 from his burns. I thought I would spread the word. yeah right, and the kids also aren't from Michael although Prince has vitiligo. And the kids also know that it is not really their daddy, although they went to the memorial and stuff.. NO WAY!! OUR HERO IS ALIVE AND WELL! LOVE U MICHAEL!!! Eva R wrote: yeah right, and the kids also aren't from Michael although Prince has vitiligo. And the kids also know that it is not really their daddy, although they went to the memorial and stuff.. NO WAY!! *blushes* Thank you hun! you guys are the best!! I agree 100%! Keep the Faith! See wrote: Hmmm the guy did not even faint in the ambulance... he was waving in the ambulance after the accident...... Don't think so! The Onion is a satirical one - they made a prank with that. Grace wrote: The Onion is a satirical one - they made a prank with that. Yeah ... that was so 5 months ago ! As editor of the article in question I can assure you that what we have here at the Journal is true. If you are at all skeptical of the fact that Jackson/Jespin used doubles compare the ears where visible, the hands and the heights. We here at the Journal are in posession of pictures of several "Frank Jespin" titlted documents including a video game and potential release of the Michael Jackson Number Ones titled the same excpet with Frank Jespin and an unreleased video game. Due to the publicity surrounding our ground breaking story, John, who authored the original is attempting to do a short timeling of Frank Jespin's life which we will make avilable as soon as it is releaed. Feel free to visit http://journaloftruth.livejournal.com for further updates. I can personally be contacted at journaloftruth@hotmail.com and our latest breaking news can be found at twitter as well. That's got to be one of the worst photoshops I've seen in ages. Good try.. FAIL. Also how do these posters and editors of net places always follow us here? Also-heights dont prove anything-seriously -compare Bille Jean in Motown 25 to Bucharest Tour and you have the same man. O MY GOD!! The livejournal journal-seriously that could be nicely written fiction if it were not for the constant reminders of the writers male anatomy. I'm serious. That article is not even the same as the one that is on the ONion-which is knows sattire, much like "Saturday Night Live"
You can fool some of the people some of the time, but when it comes to this Frank person being MJ for the past 25 years, you aren't gonna fool many. Did he use doubles? Sure...anyone with his popularity would. But to come out and suggest that MJ died and this Frank person did all the tours, interviews, and wrote all the songs after 1984 is laughable. Had we not been priviledged to witness firsthand MJ's magic and unparalled talent PRIOR to 1984, then perhaps this could be a possibility. But we did and we knew then, just as we know now, that there never has been nor ever will be ANYONE like MJ...ever. MJ went through many changes over the years, yes. But what did NOT change was his unmatched talent in the studio and on the stage. These talents came naturally to MJ, they aren't things that can be learned (as this Frank person would have had to learn)...heck, everyone and their dog have tried to imitate MJ...and some are good, but none are 'great' because MJ is one-of-a-kind. Bottom line is you have offered no proof to your claims, yet you expect us to 'trust' you. Just like we should trust all the other tabloids and magazines that claim to have the truth, right? Cause they never lie just to sell a story, right? Would you not think that this would be the biggest story of the century, were it true? Why then is it necessary for you to come onto a hoax forum to promote or support your story? That wouldn't be necessary if it was front-page news...and the last time I checked it wasn't. i-want-u-back wrote: You can fool some of the people some of the time, but when it comes to this Frank person being MJ for the past 25 years, you aren't gonna fool many. Did he use doubles? Sure...anyone with his popularity would. But to come out and suggest that MJ died and this Frank person did all the tours, interviews, and wrote all the songs after 1984 is laughable. Had we not been priviledged to witness firsthand MJ's magic and unparalled talent PRIOR to 1984, then perhaps this could be a possibility. But we did and we knew then, just as we know now, that there never has been nor ever will be ANYONE like MJ...ever. MJ went through many changes over the years, yes. But what did NOT change was his unmatched talent in the studio and on the stage. These talents came naturally to MJ, they aren't things that can be learned (as this Frank person would have had to learn)...heck, everyone and their dog have tried to imitate MJ...and some are good, but none are 'great' because MJ is one-of-a-kind. 1- Does the information that you possess and write about have any connection to the Liza Minelli statement "all hell will break loose" as she referred to MJ's autopsy? 2- Is there a connection between your claims and the fact that MJ stopped performing US concert tours in 1989 and performed exclusively outside of the US? The second question's answer is of particular interest to me because I find it odd that he would stop touring the US and only toured overseas while he was at the height/peak of his career. CharlesJWillington wrote: As editor of the article in question I can assure you that what we have here at the Journal is true. If you are at all skeptical of the fact that Jackson/Jespin used doubles compare the ears where visible, the hands and the heights. We here at the Journal are in posession of pictures of several "Frank Jespin" titlted documents including a video game and potential release of the Michael Jackson Number Ones titled the same excpet with Frank Jespin and an unreleased video game. Due to the publicity surrounding our ground breaking story, John, who authored the original is attempting to do a short timeling of Frank Jespin's life which we will make avilable as soon as it is releaed. Feel free to visit http://journaloftruth.livejournal.com for further updates. I can personally be contacted at journaloftruth@hotmail.com and our latest breaking news can be found at twitter as well. I agree with you i-want-you-back. 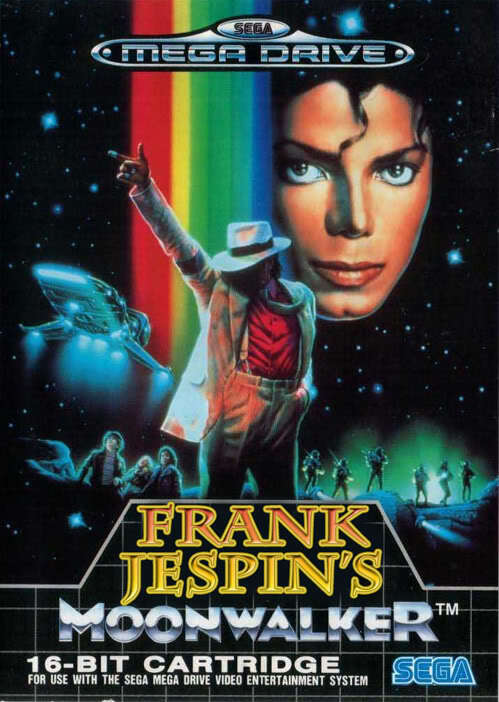 there's no way that Frank Jespin would have the same magic as MJ. I know that plastic surgeons do a good job, but I think plastic surgery could match the family traits. GirlSaturday, you ask some very important questions. I'd wonder why MJ would tour outside of the US. He did state something about touring in the US when he had an interview with the late Ed Bradley. He said it was some kind of conspiracy and he didn't want to get into it. After the Pepsi accident happen, you see MJ on the stretcher waving. They said he suffered 2nd to 3rd burns. There were alot of witnesses to this accident. If this is not the real MJ, why is Miko Brando around? David Gest did state that MJ changed after Thriller. But he thought it was due to burn. Maybe? Why would Joe and Katherine keep this under wraps so many years? Also, why did the Jackson family buy 13 burial plots? What I would really like to know is the answer to GS question about Michael only performing outside of the US after a certain year. That is very weird to me and I dont understand it at all. Like she said it was the height of his popularity so im not sure I understand why he would do that. What Michael said to Ed B was specific to his Invincible Album not anything prior to his issues with Sony and Tommy M.
Why would Joe and Katherine keep this under wraps so many years? I seldom question WHY people keep secrets. They just do. It may be in their best interest to keep secrets. Also many believe that secrets are to be revealed on a "need to know" basis. Everyone aka non-family members or strangers do not need to know the secrets. My family has secrets. Each forum member can think of a secret that is in their family as well. This claim of MJ dying 20 years ago may or not be a Jackson family secret. Either way, that family is no different from mine or anyone else's in the sense that they do have secrets too. 1989 was also years away from the 1993 molestation charges. His reputation had not been tarnished and Americans still held him up in high esteem. I'm unable to put my finger on it but there was something behind his disappearance from US concert stages. I'm still rolling it around in my head...for now. CantStopLovingU wrote: What I would really like to know is the answer to GS question about Michael only performing outside of the US after a certain year. GirlSaturday wrote: 1989 was also years away from the 1993 molestation charges. His reputation had not been tarnished and Americans still held him up in high esteem. I'm unable to put my finger on it but there was something behind his disappearance from US concert stages. I'm still rolling it around in my head...for now. I did some googling on this Frank Jespin dude, and came across a blog post about the 02. In the comments someone posted that is you analyze Michael's EARS from before 1984 until after 1985 you will see that they are not the same. I will say that the only thing to me that doesnt look the same is Michaels lips - as a child or during Thriller, Billie Jean days his bottom lip was alot bigger then the top lip and then after bad, they were exactly the same - but I attribute that to surgery. I dont know but I was just sitting hear thinking about the Billie Jean performance on Motwon 25 and Michael performance of that song on the 30th Anniversary Special. To me, it is the same Michael. Yeah, same Michael... and about the concerts, me too. I'm not here to stir any controversy in regards to this, John who originally authored the story, has decided to do a background story of Frank Jespin in regards to requests that have been emailed to us here at the Journal. I merely came across this forum myself when I googled "Frank Jespin" to see if any other information had turned up. Regardless of John's writing style, it does not detract from his ability to get to the bottom of the story, if anyone recalls when word began to leak of Abraham Lincoln contemplating suicide, John actually broke this story a year and a half before it was widely covered. I have received many interesting emails in regards to this story including rumors that Michael Jackson had a twin brother, and as editor it is my job to seek out information in regards to this. The earlobe on a younger Michael is larger than that of a later picture. I can assure you that finding good pictures to compare this is not exactly easy due to his long hair. If you want to see some interesting pictures, look at pictures from 1984-1985 then 1986-1989. Jackson's skin goes from dark to light to dark. Vitiligo is the permanent breakdown of the skin's pigment, the color will not simply come back. The immediate difference has to due to Frank having a naturally lighter skin tone than Michael and having tanned himself to appear to have a darker complexion. Jackson in 1984 photos is marginally taller than Diana Ross who is 5'4" at the American Music Awards which took place on January 16th of that year. In 1986 he towers over the 5'4" Elizabeth Taylor. He wears sunglasses numerous times throughout this period. As far as impersonators I have looked up E Casanova and he can dance very similarly to MJ. I'd imagine with practice it would not be entirely impossible for any trained dancer to pull off similar moves. In regards to why Jackson/Jespin toured only in Europe is a good question and I will look into it. I'm not coming here with the intent of telling you to believe what we print or to trust us. That is up to you. If you simply don't lend us credibility due to the fact that the Journal's content is on Livejournal bear in mind our Livejournal, Twitter and other related pages are relatively new to us as we have always been print publication and have only recently been putting content up on the internet. In fact many of the stories we have posted on there ran in print many years before we posted them online which is why some articles may appear dated. If you think you have anything of interest in regards to this story feel free to email me. Please stop posting under multiple user names. I'm sure Souza won't tolerate you playing with people. CharlesJWillington wrote: I'm not here to stir any controversy in regards to this, John who originally authored the story, has decided to do a background story of Frank Jespin in regards to requests that have been emailed to us here at the Journal. I merely came across this forum myself when I googled "Frank Jespin" to see if any other information had turned up. Regardless of John's writing style, it does not detract from his ability to get to the bottom of the story, if anyone recalls when word began to leak of Abraham Lincoln contemplating suicide, John actually broke this story a year and a half before it was widely covered. I have received many interesting emails in regards to this story including rumors that Michael Jackson had a twin brother, and as editor it is my job to seek out information in regards to this. The earlobe on a younger Michael is larger than that of a later picture. I can assure you that finding good pictures to compare this is not exactly easy due to his long hair. If you want to see some interesting pictures, look at pictures from 1984-1985 then 1986-1989. Jackson's skin goes from dark to light to dark. Vitiligo is the permanent breakdown of the skin's pigment, the color will not simply come back. The immediate difference has to due to Frank having a naturally lighter skin tone than Michael and having tanned himself to appear to have a darker complexion. Jackson in 1984 photos is marginally taller than Diana Ross who is 5'4" at the American Music Awards which took place on January 16th of that year. In 1986 he towers over the 5'4" Elizabeth Taylor. He wears sunglasses numerous times throughout this period. As far as impersonators I have looked up E Casanova and he can dance very similarly to MJ. I'd imagine with practice it would not be entirely impossible for any trained dancer to pull off similar moves. In regards to why Jackson/Jespin toured only in Europe is a good question and I will look into it. In regards to why Jackson/Jespin toured only in Europe is a good question and I will look into it. Thank you for addressing my questions. I look forward to your additional findings regarding the reason for no US tours after 1989. I suspect that I already have the answer but I'll wait and see if your reply matches or comes near to what I already believe to be the reason. i've just read the article.. I love your sense of humor. It's almost as wicked as MINE. Brilly wrote: i've just read the article..
GirlSaturday wrote: In regards to why Jackson/Jespin toured only in Europe is a good question and I will look into it. I'm looking forward to that as well-BAM! Emeril Lagasse and Bam Bam from the Flintstones always come to mind. GirlSaturday wrote: @ your BAM! hee hee-I love your quiet proffessional blog demenour( spell check?) "I suspect that I already have the answer"...hee ROFL. I suspect you do too-stick him. It says that it was all a lie! thank you for your link, but I have already seen it. Charles J. Willington is trying to say that MJ died in 1984 from his burns from the Pepsi Commercial. I don't believe it cause you see MJ on the stretcher waving with is glitter glove. Also, there were alot of witnesses.